Will Renting an Apartment Help My Credit Score? 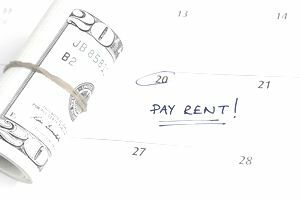 Your monthly rent is one of the most important bills that you pay each month. All those timely rent payments should count for something, right? In a sense, renting an apartment is like a 12-month loan that you pay back in monthly installments. At least that’s the justification landlords use when they check your credit report before renting an apartment to you. From that perspective, timely rent payment should help your credit score, especially since late rent payments and eviction can completely wreck your credit score. This would not only ruin your ability to rent another apartment, but also make it harder to get approved for credit cards and loans. Many landlords pull your credit report when you're approving your rental application. The hard inquiry that comes from a credit check can affect your credit score. Inquiries are 10% of your credit score. One inquiry typically won't cause a significant drop in your credit score. However, if you make several applications in a short period of time, your credit score may take a noticeable hit. These inquiries will stay on your credit report for two years, but only affect your credit score for 12 months. Not all landlords or leasing agents pull your credit information to qualify you for a rental. Applying for an an apartment won't hurt your credit if there's no credit check in the process. The application also won't hurt your credit score if the landlord uses a service that does a soft credit check. You can ask the landlord for their process to find out whether there's a credit review involved. Are Rent Payments On Your Credit Report? More recently, some apartment complexes have begun reporting rent payments through RentBureau a rent payment reporting system which is now owned by Experian, one of the three major credit bureaus. If you rent from a landlord that uses RentBureau, your monthly rent payments will appear on your credit report, thus improving your credit score - but only your score with Experian since credit bureaus don't share data. TransUnion has a service called ResidentCredit that allows property managers to report rent payments either directly or through a third-party rent data processor. The renter’s credit report will show the last rent payment made, the next rent payment due, the timeliness of payments, and any remarks regarding payments that were late but received before the 30-day late deadline. But, the service is only available to companies with 100 or more properties. If you're renting from a smaller landlord or property management company, they're likely not using ResidentRent. There are a few smaller companies attempting to collect and report information on rent payments: ClearNow, PayYourRent, RentalKharma, and RentTrack are a few examples. While there has been some progress in credit reporting of timely rent payments, it’s not widespread. If you rent from a smaller company or an individual landlord, it’s less likely that your rent payments will be reported to the credit bureaus. Even when rent payments are included on your credit report, they’re not guaranteed to help your credit score. In a 2014 New York Times article, a FICO spokesman said that FICO doesn’t include rental history in credit scores in the credit score calculation. This means that even if your rent is reported to the credit bureaus, it won’t help your credit score. It can help, however, if a landlord manually reviews your credit report looking for positive tradelines. Do Late Rent Payments Affect Your Credit? On the downside, renting can hurt your credit score in some instances. For example, if you're late on your rent payments, break your lease, get evicted, or fail to pay any move out fees and the landlord reports this delinquency to any of the three credit bureaus, including Equifax and TransUnion, that will hurt your credit score. Past due rental balances can also be sent to a collection agency who could report the account on your credit report. If the landlord has to take you to court for an eviction, your credit score will likely be affected. You can use a credit card to pay your rent and boost your credit score in an indirect way. Open a credit card and use it to pay your rent (if your landlord accepts credit cards as a payment method), then pay your credit card balance in full each month. The timely credit card payments will help boost your credit score. Be aware that some landlords may charge a processing fee if you use a credit card to pay your rent. Are Cosigners Affected By Rent Payments? Cosigning a rental agreement will impact your credit the same as if you were the sole tenant of the apartment, even if you're not living in the apartment you cosigned for. When there's a credit check for the application, the cosigner's credit is impact. Any payment reporting will be included on the cosigner's credit report as well. An eviction, debt collection, or judgment resulting from non-payment will impact the cosigner's credit, even if monthly payments weren't regularly reported to the credit bureaus. Many landlords don't contact a cosigner until the balance is seriously past due. Cosigners have to be even more diligent about making sure monthly rent payments are made on time so their credit isn't negatively impacted by late rent payments.